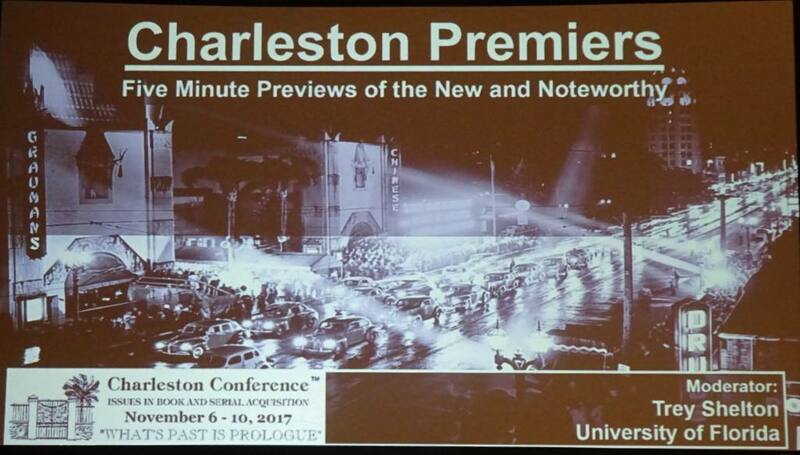 The Charleston Premiers, moderated by Trey Shelton, Chair, Acquisitions & Collections Services, University of Florida, are a series of five-minute previews of new and noteworthy products and services. Below is a list of the products and services, followed by the name of the presenter. Following the presentations, the audience voted for the best design, most impactful, and most innovative product. LEAN Library (Johan Tilstra): Libraries can be difficult to use. LEAN Library is a browser extension to tell the user if library has a particular resource. No user names, logins, etc. are required. 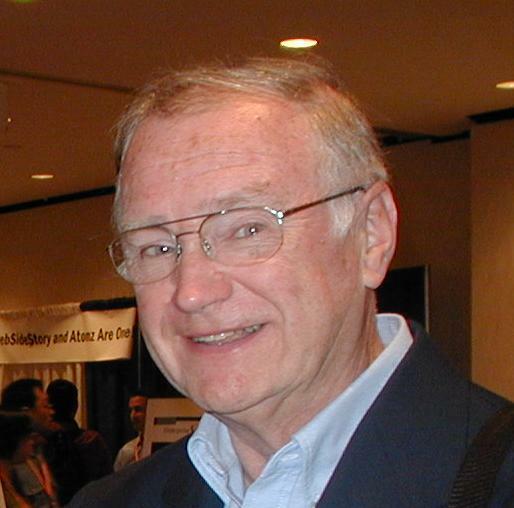 Casalini Libri (Michele Casalini): BIBFRAME brought into practice. Conversion, distribution, and publication through linked data from record to entity. Enrichment of library catalogs. Demco Software (Ravi Singh) DiscoverLocal: Get your collection and events to show up in local search engine results via linked data. Give the library top ranking in search engine results. Show date, place, time. Helps users make informed decisions about programming and events. Bloomsbury Digital Resources (James Ligle): Libraries on fashion photography, music, design, food, popular music, etc. have been created. Code Ocean (Travis Hewgley): Find the code behind data and run it. Code Ocean is a computational reproducibility platform to test results and execute code with different values. It can deal with code written in any one of 11 programming languages. EBSCO Folio (Tony Zanders): FOLIO (Future of Libraries Is Open) is an Open Source platform with applications for libraries. Its codex is how it treats metadata (cataloging by reference). ProQuest (Barbara Olson): ProQuest has built a database of Early European Books (EEB) from the Early Modern Period (1450-1700) via digitization of content from 5 libraries in Europe. It contains over 17 million page images and also scatter maps of the location of works. Springer Nature (Michael DiSanto): Springer Nature Experiments is a database of over 50,000 protocols and methods in the life sciences. It is used to help researchers find and implement protocols. using intelligent indexing via machine learning. It contains videos with a viewer. Users can filter by technique and directly email the authors. ATG "I Wonder" Wednesday: Do you still think PowerPoint is an effective presentation/instruction tool?